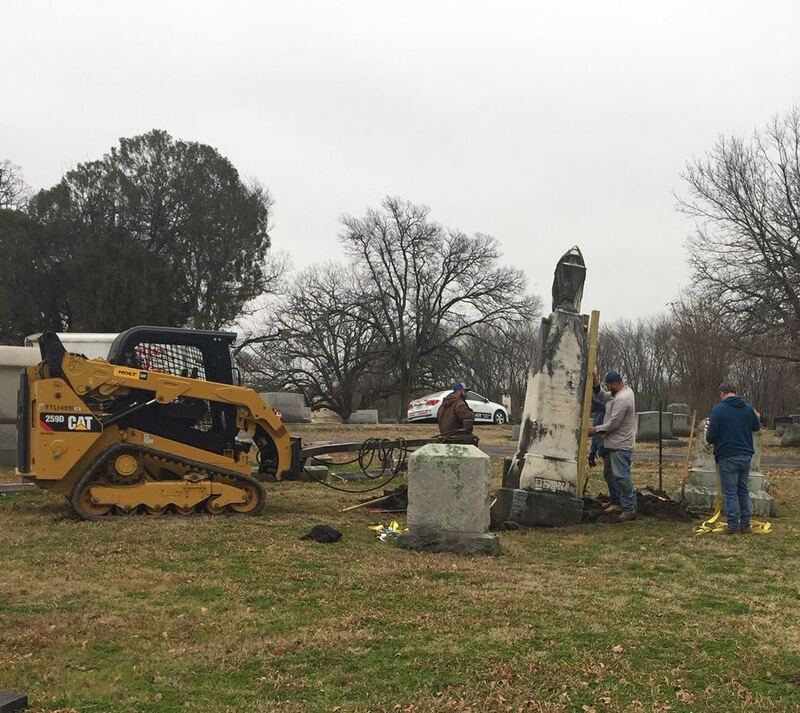 City of Tom Bean > News > City News > First Phase Tom Bean Monument Restoration Complete! 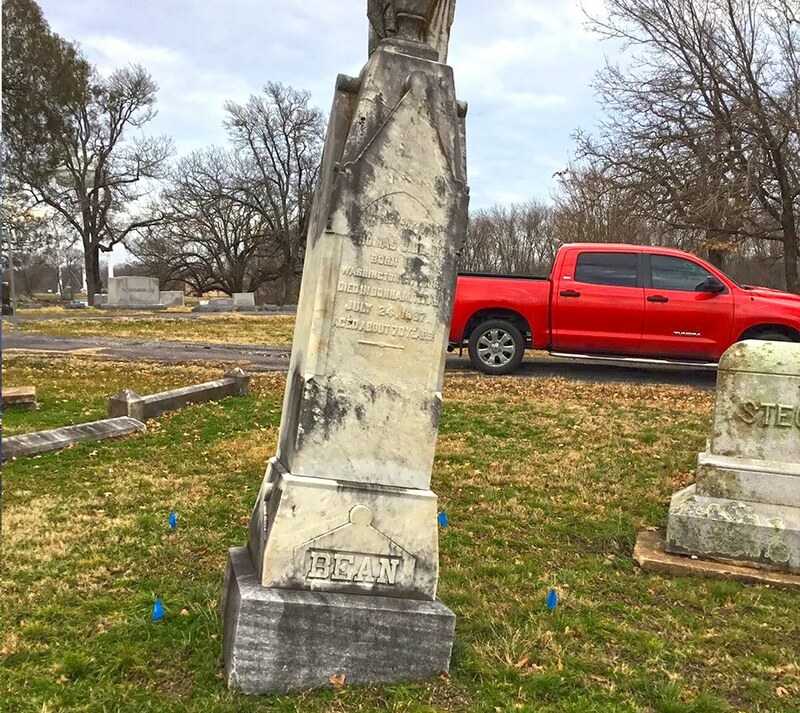 Back in January 2014, Mayor Sherry E. Howard started the project of restoring the Tom Bean Monument after visiting Willow Wild Cemetery in Bonham and seeing first hand the shape it was in due to the shifting of the ground over many years. The citizens were asked for fundraising ideas to start getting the needed money to level the monument. 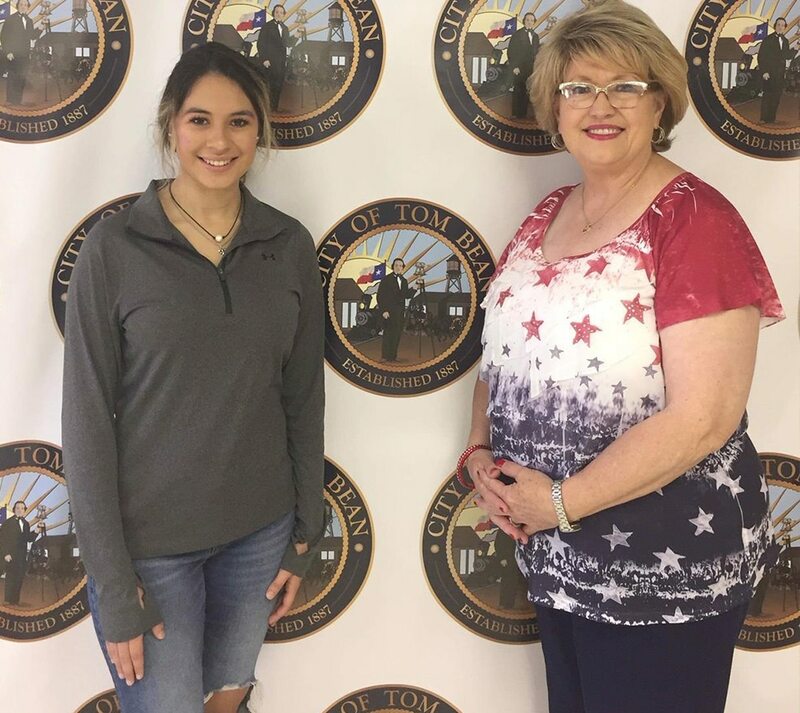 In 2016, Chloe Battles, a sophomore at TBISD approached Mayor Howard and wanted to help with this effort and make it her community service project. Chloe set up a GOFUNDME account and collected $714.79, raised $161 at the annual Halloween Carnival, and $56.16 in donations. The total of this account was then $931.95. She continued the next year to raffle two Coach purses (anonymous donor) and this raised $177. 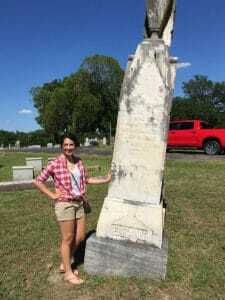 She set up a bank account at Texas Star Bank for people to make donations when they wished and in May 2018 Chloe transferred the account to the City of Tom Bean due to the fact that she was graduating and going off to Texas Tech in Lubbock. The final total forwarded to the city was $1891. We were still short ~$600 and Mayor Howard posted on Facebook about the shortage and had an anonymous donor present her with a check for $600 last year. Our total now is $2491 and the final cost will be $2500. 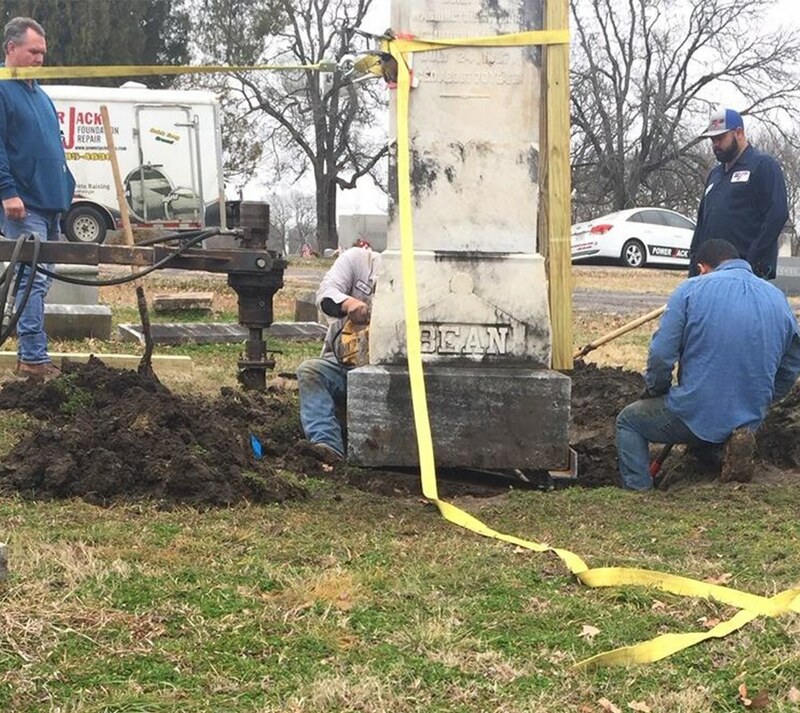 Paris Monument agreed to get a contractor (Power Jack) to level the monument for us at the budgeted price of $2500. The work was scheduled for Friday, February 1st. 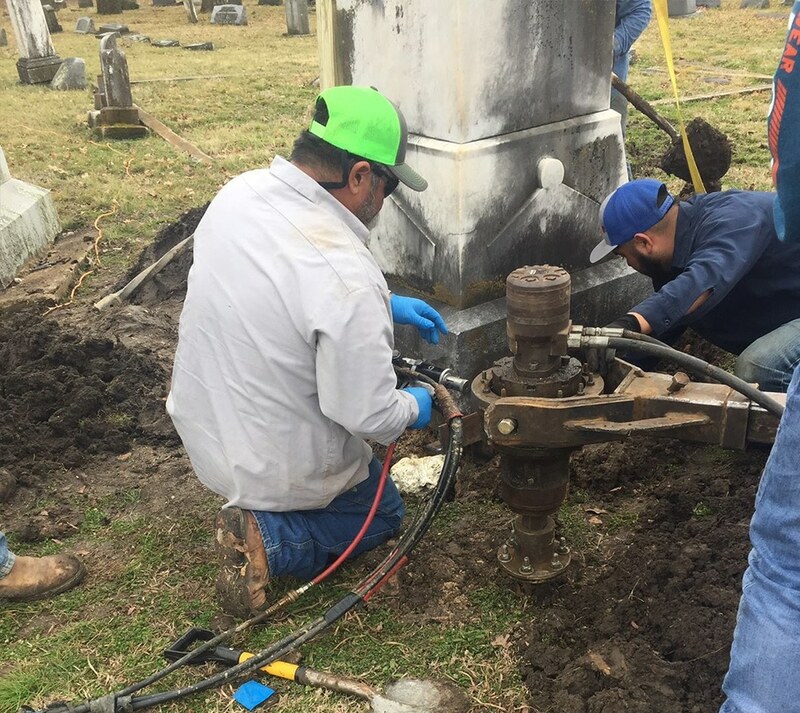 They shot polyurethane foam under the 6’ of concrete that is supporting the 12’ marble monument in addition to installing 8’ steel piers under the monument. Mayor Howard was able to witness and capture this historical event honoring our town’s founder! 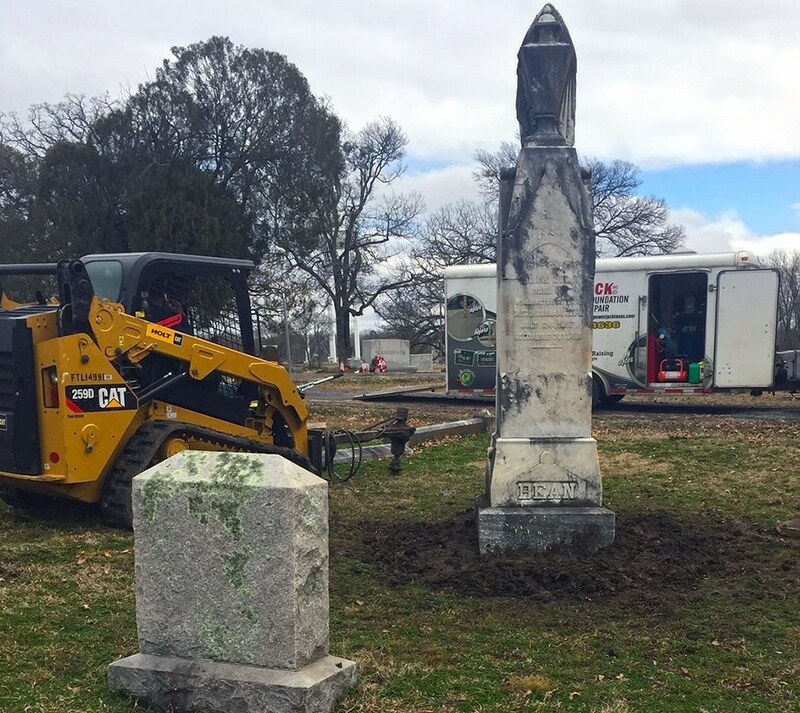 Paris Monument has also agreed to clean the monument free of charge! We want to express our appreciation to each and every donor over these past 3 years! 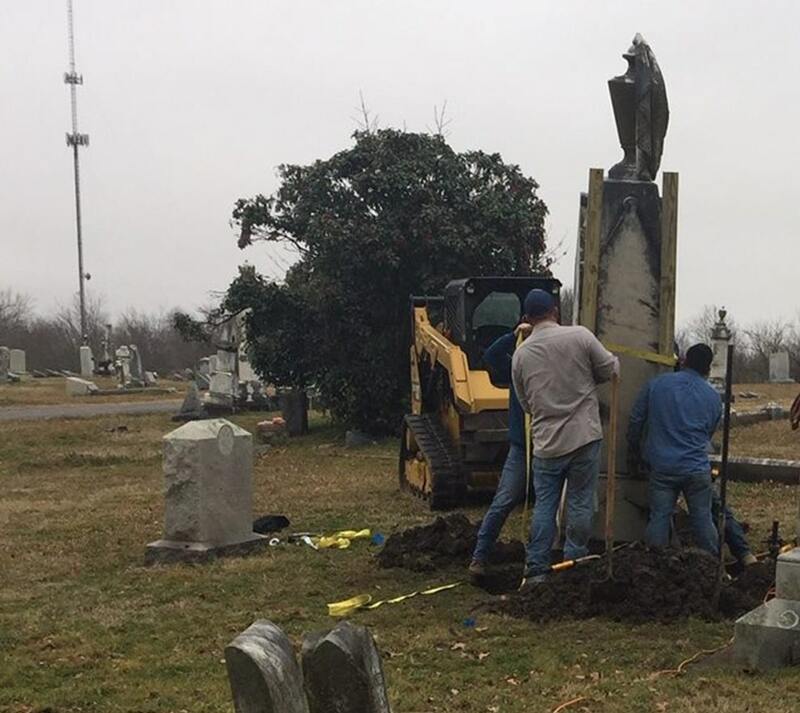 North Texas Enews was alerted to this project – thanks for the coverage. Our plans are to publicize this great event for the founder of our town. Stay tuned for the “groundbreaking” event for Tom Bean Monument!